The Mill House is a Hertfordshire home with genuinely spectacular gardens, but none which is in need of some TLC to restore its glory within. Idyllic, picturesque – and now in need of ‘a thorough overhaul’. 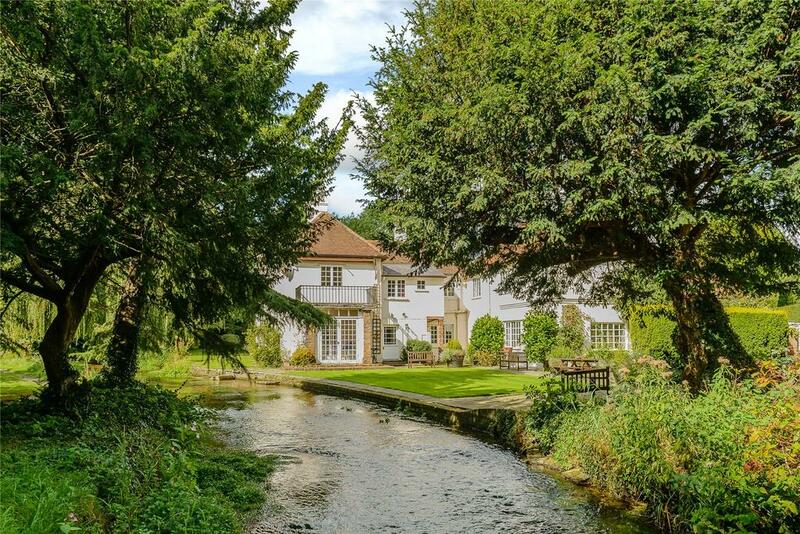 The estate agents at Savills do not mince their words about The Mill House: after 53 years of ownership by the same family, some fresh energy is needed to revitalise this lovely place. 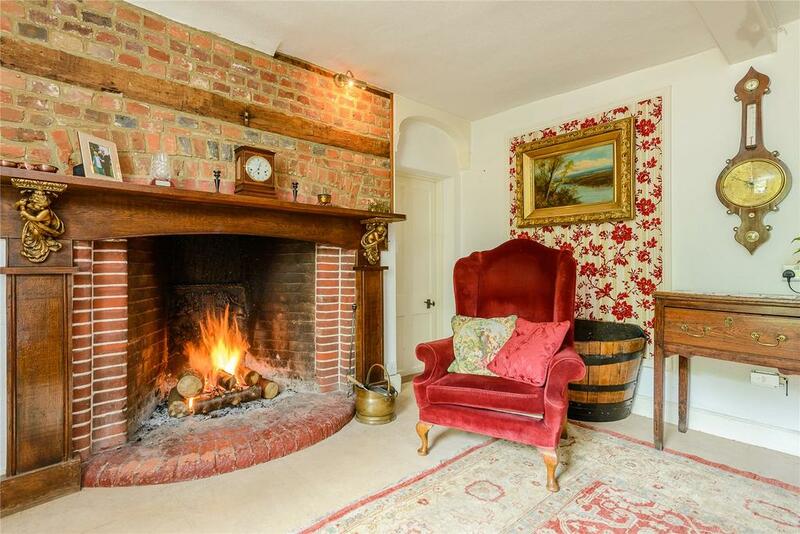 Not that it’s a wreck: it’s a four-bedroom home in perfectly liveable condition, and full of charm – not least thanks to the wonderful location right on the bank of the River Mimram at Tewin, near Old Welwyn, Hertfordshire. 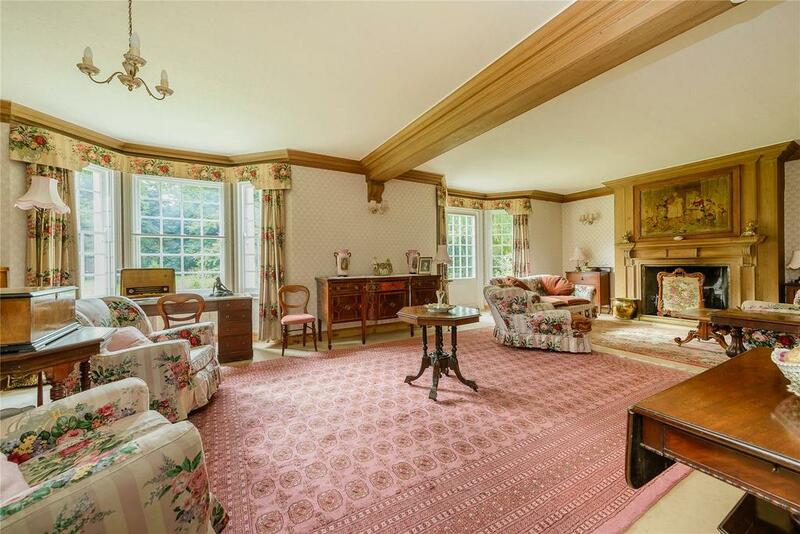 The house is for sale via Savills at a guide price of £3.5m. 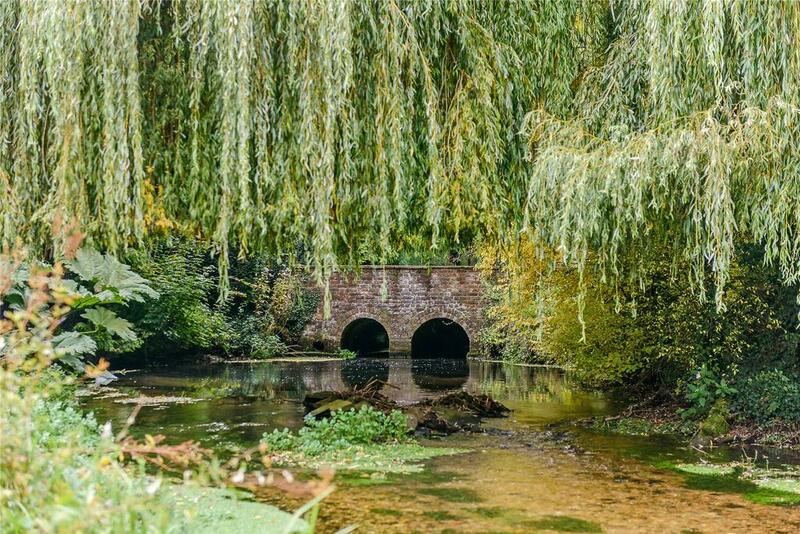 Once part of the Cowper family’s Panshanger estate, The Mill House and its secondary properties – set in almost 10 acres of enchanting gardens, woodland and wildflower meadows – are being offered for sale as a whole. 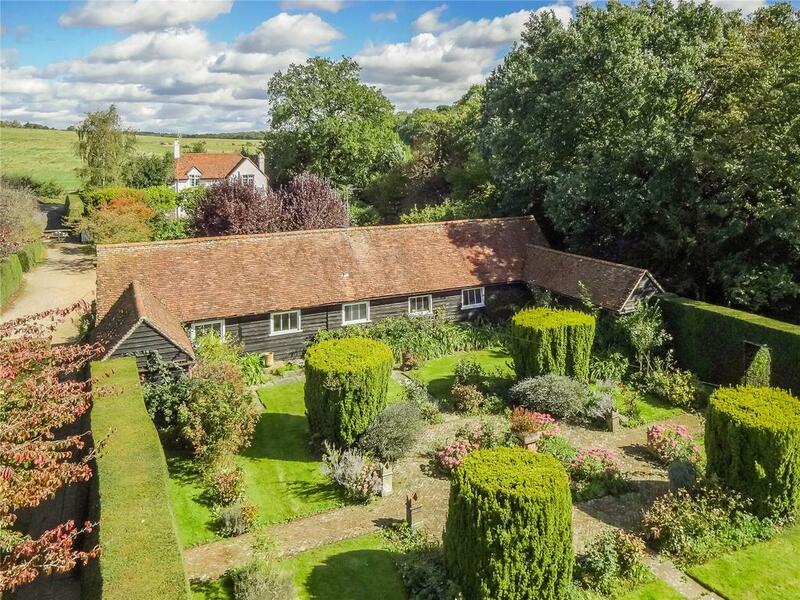 The house stands on a site listed in Domesday and once occupied by several mills, the last of which was pulled down in 1911, leaving a number of original features, such as a millpond wall, several grinding stones and an underground waterway leading to the Backwater. There is 3,550sq ft of accommodation, including a reception hall, four reception rooms, four bedrooms and three bath/shower rooms, with a morning room and two further bedrooms in the 894sq ft adjoining wing. In 1934, Dr Lane-Roberts, an eminent London gynaecologist, leased The Mill House. He enlarged the house and laid out the gardens, using tons of York stone to create paths and old brick from the nearby Digswell viaduct for decorative walls and terraces. Yew walls were planted to create garden ‘rooms’ planted in the fashionable Sissinghurst and Hidcote style and seven gardeners were employed. From 1960 to 1964, The Mill House was owned by a builder who made a few changes to the house, but neglected the gardens. It was sold in 1964 to Richard Knight, a local GP, and his wife, Margaret, both passionate gardeners. The Knights carried on where Dr Lane-Roberts left off, replacing species, improving borders and planting rare specimen trees. Each year, a large sack of daffodil bulbs would be planted along the river and in the woodland, creating a magnificent display for the many visitors who came to view the gardens when they were opened for the NGS. As well as the main Mill House itself, three other properties are included in the sale, each with two-bedrooms. North Lodge and The Bothy are both self-contained and detached, while The Wing is part of the main building. 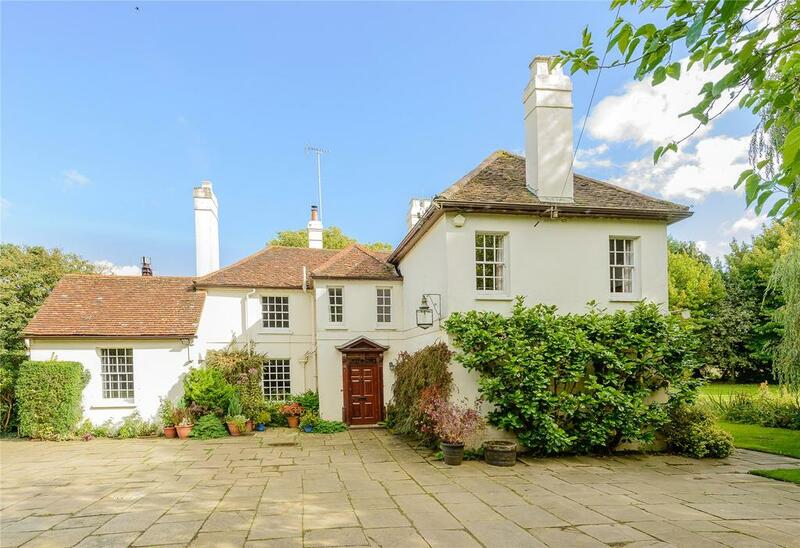 The Mill House is for sale via Savills at £3.5 million – see more pictures and details.